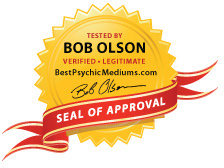 TESTED AS LEGITIMATE BY BOB OLSON - Listed on BestPsychicMediums.com. Jennifer Farmer is a naturally gifted intuitive, psychic medium. A private reading with Jennifer will influence every area of your life. She’s authentic and approaches her work seriously and with integrity. She has an unshakeable trust and connection to Spirit World that helps clients gain a deeper sense of understanding and awareness of their own spirit. Visit Jennifer's website, www.JenniferFarmer.com, for more information about her national appearances and live medium demonstrations. Jennifer provides a full range of personal and professional services: Personal Readings, Mentoring/Coaching Services, Group Readings, Lecture and Speaking Services and Professional Intuitive Consulting Services. Jennifer has attended the Arthur Findley College in Stansted England, the world’s foremost college for the advancement of spiritualism and psychic sciences. I have had several readings with Jennifer, both in a small group and private readings. Always the information has been detailed and specific without any information given by me to help her connect. She is a very gentle sincere and compassionate person who brings this with her into her work with clients. I have referred many friends to her. Jennifer is a good medium. I attended seminar. and she did some readings. I was surprised what Jennifer said. on my way to the reading I thought that I would prefer to hear from my grandmother, because she was more brave and I thought it could be more difficult for my mother , because she was more anxious and brittle. Than I thought how my mom is doing in her afterlife. During the reading Jennifer said that my grandma is saying not to worry about my mom, she is helping her over there. I used this site to find Jennifer. It was a 4 month wait for my appointment. In the meantime, she had a small seminar I attend with a friend. I was amazed at all the small details she provided to the people there. I couldn't be sure since these were strangerss to me. Then she read my friend. This left no doubts in my mind. My reading provided all the information I needed. It changed my life. I now look foward to a new life and am seeking spiritual growth. I HIGHLY recommend you go! My reading with Jennifer was so rewarding. She hit on several things no one would have known about. She told me thing from dead loved ones that were spot on. Thank you so much. I have had many readings in the past and it was only with Jennifer that I knew I was actually communicating with my mother. It was a phenomenal reading in that family information that I had longed for was passed on to me from my mother. Jennifer is the real deal. I knew it was my mother as it was not general information and there was no communication with Jennifer prior to the reading. I will definitely be scheduling another reading with Jennifer. My reading by Jennifer was phenomenal.She revealed details about deceased and living family members. Details she could not have known about. She even knew of a private conversation I had with my brother after he passed. Jennifer is a true professional with a genuine desire to help her clients. She also has a wonderful sense of humor. I highly recommend a reading with Jennifer if you are lost, looking for answers, or just curious.You will walk away in amazement. I saw Jennifer for the first time today but DEFINATELY not the last! She is incredible! She puts her clients at ease...she made me feel as if she had known me forever. I got so much out of our short reading.....messages from my grandmothers, my spirit team and so much more and I told her NOTHING about myself....she was spot on! I can't wait to go back for a longer reading! Thanks, Jennifer...God Bless and I HIGHLY recommend her to anyone! My session with Jennifer has proven to be more beneficial than I could have imagined. Her kindness & sensitivity really put me at ease. Her insight has brought me a new found sense of closure. Something I was unaware of even missing. Even more surprising was the peace it brought to me & my loved ones. The details she provided were astounding. I have recommended her to several people. I would encourage anyone with an open mind, & heart to make use of her services. Thank you, Jennifer. I met Jennifer at a Body Mind Soul expo and I found her warm, authentic and friendly, as well as very talented. Her accuracy is amazing! I would recommend Jennifer to anyone who is looking for messages from their loved ones in a safe, loving environment. My father passed away this year, and I feel an overwhelming sense of loss. After the session with Jennifer, I have gained comfort, and can begin the healing process. She is a wonderful, gifted person. I am thankful that I met her. I was lucky enough to win a free session with Jennifer while she was at the Whole Expo in Durango, CO. She was able to connect with my Father, Uncle and Grandfather who are in spirit. She gave me wonderful messages from them and it made me feel as if we were all there in the room together! I feel that Jennifer has a beautiful gift and I would highly recommend her. My session with Jennifer was incredible. I truly believe that intuitive guidance can elevate your life to a whole new level. Jennifer was accurate and came through with what I needed to hear. I would recommend Jennifer to anyone wanting to reconnect with a loved one or just spiritual guidance. I was at a dead end or so it seemed. Jennifer was able to lift the curtain and make me see things through different eyes. She has a great aura and will make you feel comfortable and welcomed right away. She knew things she couldn't have possibly known. I appreciate her time she spent with me and treasure every minute. I will definetely see her again and would only encourage others to see her as well! I had a really good session with Jennifer. Very positive person, and she knew things that I aint tell her. I recommend to anybody. She is very gifted and I will talk to her again. Jennifer was not only able to connect to my mother that had passed but my late husband, mother in-law, grandmother and aunt. I received an answer from my mother in-law knowing that she would be the only one to know as well as my mother and others. She is so right on that I recommend her to anyone. Thanks again. My session with Jennifer was remarkable because she brought through a very unexpected friend on the other side. My friend Jeff came through, and he had a message for me that made sense. He passed away tragically some 17 years ago. Her evidence actually sparked MY memory. I would recommend Jennifer to anyone. She is both skilled and accessable. Thank you, Jennifer, for sharing your gift. My father died when I was twenty-two years old. There were a lot of things I did not get to say to my father. Jennifer was able to reconnect with my father. I knew it was him by his expressions of speech. I feel this was a healing process for me. I would recommend Jennifer to anyone wanting to reconnect with a loved one. I recently attended the Body Mind Soul Expo in Seattle, and saw a demonstration facilitated by Jennifer Farmer. Time and again Jennifer connected to loved ones who had passed and had messages for audience members. When my Grandmother came through I was thrilled and I appreciated the information relayed by Jennifer. I will never forget the experience. I recommend Jennifer as a Psychic/Medium and intend to call her in the future for more personal readings. From the start, Jennifer put me at ease, making me feel comfortable with the process and knowing that this was a session that she would as private as my life is. We ended the session well over an hour later with positive notes and things that I could do to let more light envelope me. I thought she was accurate and came through with what I needed to hear. I would and have recommended Jennifer to several people. I hold her in high esteem as a tool to further promote life and love.